Did Jeff write me a personal letter on becoming a writer? The voice he writes in rings with the experience of someone who has been through the fire, and come out with pages of knowledge he wants to share! For all the aspiring writers, bloggers, creatives in the building, let me tell you this is worth the price of admission. A short book, granted, but packed full of useful steps towards being a writer. The most important message Jeff wants to convey is YOU ARE A WRITER (hence the title). I know have done this before, hesitated in describing myself as a writer and going public. Once you have made a commitment, everything simply comes one step at a time, and Jeff does a great job of laying those steps out. What I appreciate most about Jeff’s writing is his honesty. I see many of my struggles in his writing, and he’s not afraid to tell the ugly parts of his story, of the self-doubt, distractions, and pain involved in being a writer. But he doesn’t stay there, laying out the steps to being successful. He admits the hard work, long hours, and a chance you may never reach the mountain top you have sighted for yourself. 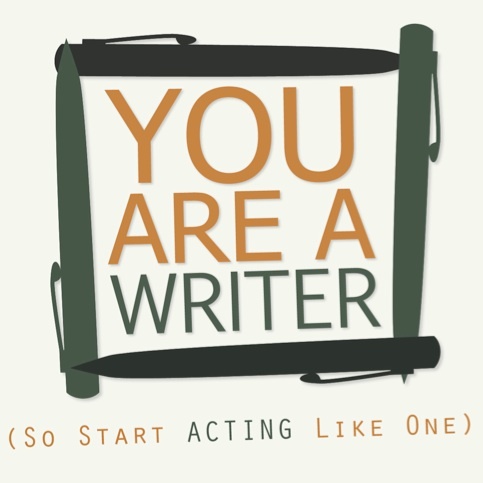 The trick is though, if you love writing, if you can’t do anything else, each piece, each connection, each opportunity to share with others is your mountain top. Pursuing your passion, treating people with respect, and simply writing is what you were made to do. In keeping with his honesty, Jeff wraps up by sharing the pitfalls of success, and to remember your love for the craft. It’s all that will keep you true. So what are you waiting for? If you are a writer, it’s money well spent. Buy the book here and start shipping! This entry was posted in Book Reviews, Creativity, Writing and tagged becoming a writer, blogging, creative process, creativity, jeff goins, publishing, starting, writing by mattragland. Bookmark the permalink.